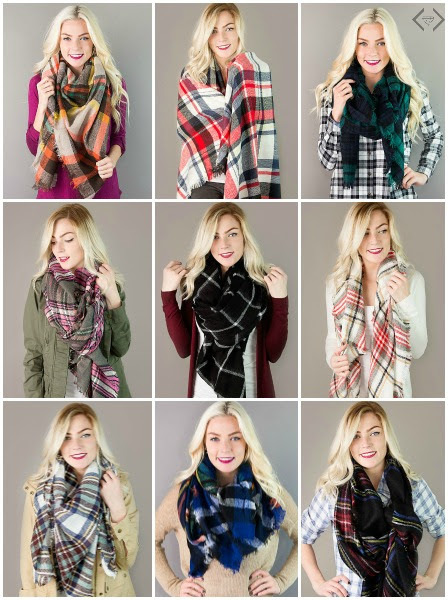 One Momma Saving Money: Berlin Blanket Scarves for $12.95 + FREE SHIPPING + 5 ways to style a blanket scarf! 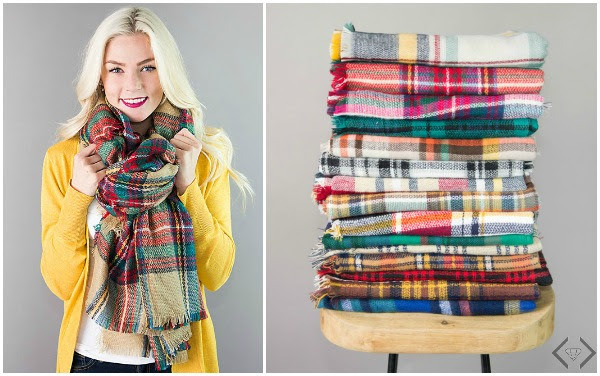 Berlin Blanket Scarves for $12.95 + FREE SHIPPING + 5 ways to style a blanket scarf! We are so delighted about this weekend's Fashion Friday! Our best selling style from last year is With nearly 30 patterns and plaids, there is a color for everyone. You don't want to miss out on this trend with all of these options and this killer price. Now, if you are like me, wearing a blanket scarf can be a little intimidating. I won't lie - I had to have help learning how to wear this trend. 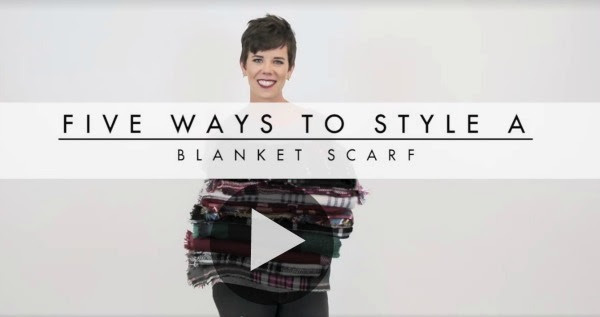 Luckily, Courtney is a blanket scarf expert and we have some of her best tips compiled in this perfect video. Tailgating! Buy a scarf in your favorite team colors and wear to tailgate. You have a scarf and a blanket for those chilly games. Gifts! Teacher gifts, best friend gifts, mother-in-law gifts, hostess gifts...gifts for you. We're not picky - everyone is going to love these. Wear to dinner - you'll be the one that doesn't catch a chill and looks fabulously on trend at the same time. Family photos! Need we say more? Tie those colors together, and look fabulous for those photos. Refer to the video above - with multiple ways to wear, you're going to want a few of these!